These modestly priced headphones sound leaps and bounds beyond their price tag. Pondering things quintessentially French evokes thoughts of fine wine, elegant cuisine, and romance. That's all well and good for Francophiles. When audiophiles think of France, venerable speaker manufacturer Focal is likely to come to mind. And while Focal’s speakers can run into the tens of thousands of dollars, the company builds some amazingly affordable headphones. The Spark in-ear (as well as the wireless headphones reviewed in this story) are cases in point. The wireless models sell for just $99, and the wired models reviewed here are even less-expensive at $69. Those price points normally scream "Budget!" with all the price-to-performance tradeoffs that label infers. You won't find that with either of these two products. The Focal Spark are light to the point where I would frequently forget that I had them in my shirt or pants pocket. They weigh a mere 14 grams, which is a tad more than Apple’s ear buds, which tip the scales at 10.2-grams. Focal’s Spark comes styled with a bullet-shaped ear plug with an aluminum finish. Inside you’ll find a 9.5mm-diameter electrodynamic mylar driver that Focal says delivers frequency response from 20Hz to 20kHz. With an impedance of 16 Ohms and a sensitivity of 103dB, you’ll have no problem driving the Spark with just about any mobile smart device or digital audio player. 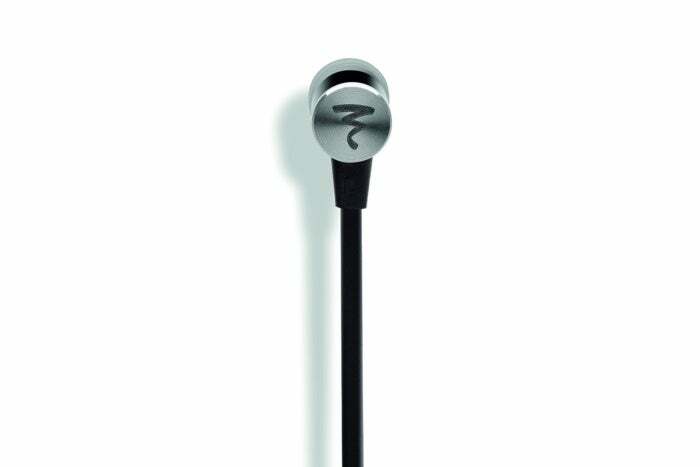 Unlike most in-ear headphones, the Focal Spark come with a flat, rubber cable. The cable has a great fit and feel to it. It will also reject transferring rubbing-induced noise. I pulled the cable across clothing and ran my fingers up and down the cable without any noise coming through. Focal says that the cable is supposed to be anti-tangle; however, that doesn’t mean I never had to untangle the cable. It never got into a Gordian knot, a phenomenon that Apple’s headphones are notorious for, but it did help mitigate the extent of the tangle. In my experience, unless a headphone comes with a high-quality nylon braid or a coated surface, it will always catch to some degree. The Focal Spark has a thin, flat cable with an inline remote. The right cord has a traditional three-button remote. The middle button toggles play/pause modes, while the top and bottom buttons adjust volume. Clicking the center button twice advances to the next song while triple clicking reverses. Clicking and holding the play/pause button will activate Siri. The volume buttons will mysteriously stop working if you use Apple's 3.5mm-to-Lightning adapter. Therefore iPhone 7 users will have a problem. Focal confirmed with me that the issue exists, but did not say when or if this would be fixed. The inline remote’s barrel is substantive and easy to hold in your hands. The buttons are well spaced, so that even though they are the same shape, you can make them out by touch alone. The inline remote doubles as an omnidirectional microphone. I conducted several calls without issue and people on the other end of the call could always hear me clearly. The microphone was simply excellent. That's no small feat for an in-ear-monitor. The Focal Spark’s accessories are basic, but useful in every sense. How many times have you read a litany of included extras on a package only to discard them in actual use? 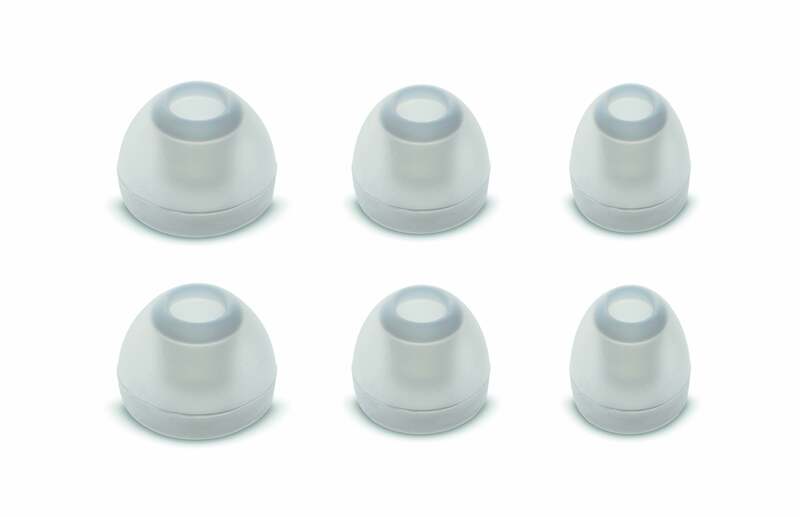 The Focal Spark comes with three pairs of translucent silicone tips in small, medium, and large sizes. With my particular ear-shape, the large tips fit just fine. The Spark’s tips had sufficient grip to make a solid seal, and they never fell out of my ear even when I was active. And if I yanked the cable with enough force to pop one of the ear plugs out, it never hurt, which was a pleasant surprise. 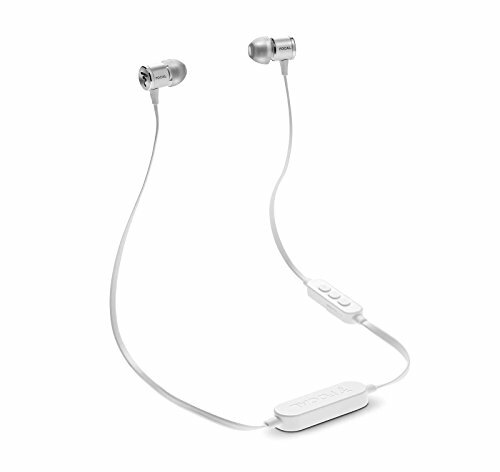 The Spark includes three pairs of ear tips. A zippered hard case for stoinge the headphones, which is small enough to put in my pocket. I can’t say the same for all headphone cases. 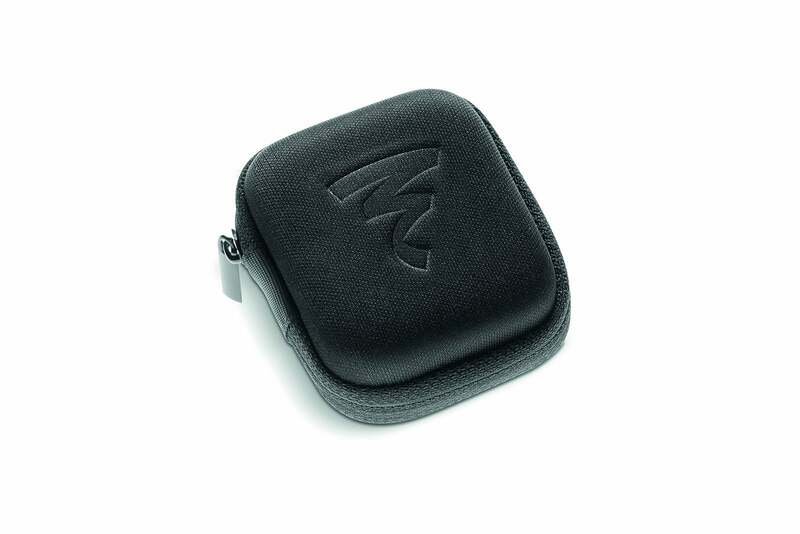 This one has a smooth nylon exterior branded with Focal’s distinctive logo. The inside of the case’s top cover has a mesh pocket where you can store the silicone tips or other small accessories, such as Apple’s 3.5mm-to-Lightning adapter. The Spark's included case is small, practical, and of high quality. I used the Focal Spark with an iPhone 7 and an Astell&Kern AK70, playing a variety of jazz, classical, and rock with AAC- and losslessly encoded tracks. The sound of the Focal Spark was big, balanced, and consistently natural throughout my listening period. The Spark lit up Sade’s classic, “Smooth Operator.” Top to bottom, the sound was smooth. The kick drum and percussion had solid impact and surprisingly good dynamics. Detail of the laser-etched Focal logo. Turning to Alicia Keys' “No One” from As I Am, Dido's "Blackbird," and Jessie Ware’s "Wildest Moments," the Focal Spark’s bass response was immediately apparent. I didn’t find myself wanting to crank up the low end; and when it kicked in, I felt as though it had life and energy. I didn’t find anything clinical with the Focal Spark, regardless of the content I threw at it. On the contrary, the Focal Spark rendered the masterful artistry of Yo-Yo Ma’s cello from Yo-Yo Ma Plays Ennio Morricone. Listening to "The Lady Caliph: Dinner" was utter bliss. Soundtracks like "Gabriel’s Oboe," from The Mission, and the "Main Theme" from Casualties of War also drew me in. The Focal Spark have a clear audiophile pedigree and will render music just as the artist intended. The result? A beautifully inviting and enthralling musical experience. Female vocals were exceedingly smooth and warm. Allison Krauss, Adele, and Sarah McLachlan, to name but a few, were spot on. I especially enjoyed listening to tracks such as “Maggie Said” and “Texas," from Natalie Merchant’s self-titled 2014 album..
There’s not much of a downside with the Focal Spark. 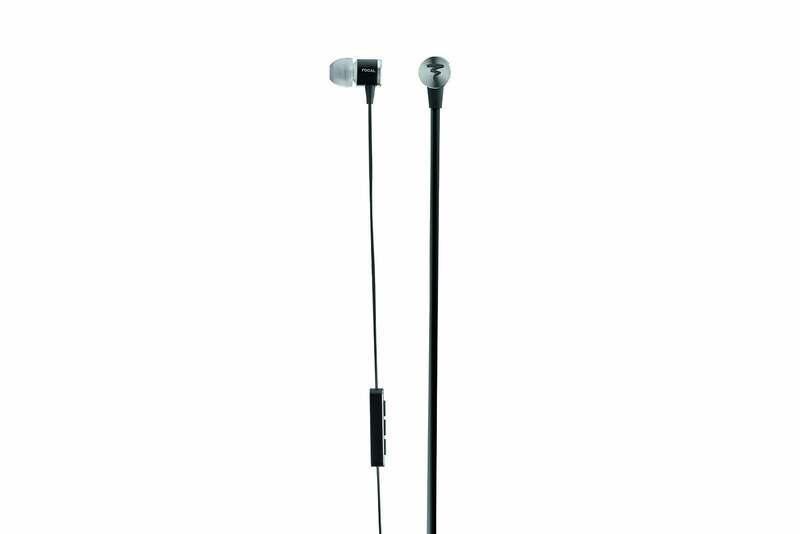 However, compared to the upper echelon of in-ear-monitors, you’ll find that you’re primarily giving up some midrange transparency and ability to render fine musical details and micro dynamics. From the first note, the Focal Spark will put you on notice that there’s a high-end pedigree behind these headphones. Simply put. the Spark deliver stylish looks and serious audiophile sound on a budget. Solid build quality and an attention to detail are just icing on the cake. If you’re looking for a great sounding pair of headphones for much less than $100, don't buy anything until you've auditioned the Focal Spark. 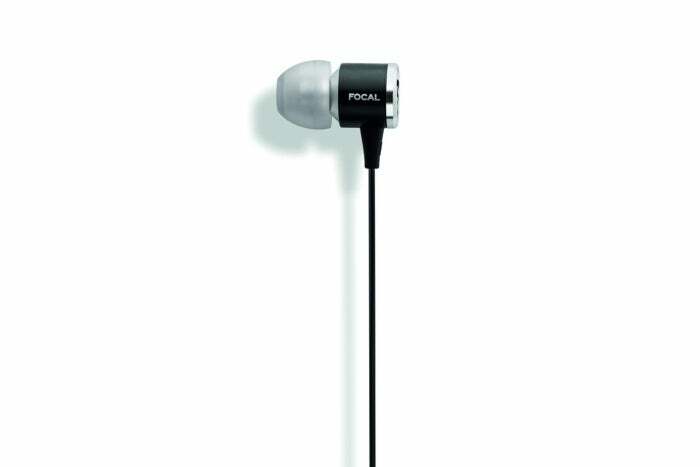 The Focal Spark deliver stylish looks and audiophile sound at a remarkably low price point.